The Delta has been embroiled in controversy about how to restore a faltering ecosystem while maintaining its role as the hub of the state’s water supply. Issues include improving water system management, estuary health, conservation efforts to protect the endangered Delta smelt, levee fragility and the proposed twin tunnels, which will be put on a statewide ballot in the future. New California Gov. Gavin Newsom has previously said he favors a scaled-down Delta tunnel project. Whether he reappoints state water board chair Felicia Marcus will signal whether he wants the board to stand firm or back down on the flow requirements. His picks for top posts in the Natural Resources Agency will determine whether his administration goes along with a potential weakening of delta protections by the Trump administration — or fights it. California Gov. Jerry Brown (D) on Friday backed a bid by Sen. Dianne Feinstein (D-Calif.) and House Majority Leader Kevin McCarthy (R-Calif.) to extend provisions in a 2016 bill to shuttle more water from the Golden State’s wet north to farms and cities in the arid south. Friday’s Top of the Scroll: Could this obscure California agency derail Jerry Brown’s Delta tunnels? On Dec. 20, the Delta Stewardship Council will vote to determine whether the tunnels project — officially known as California WaterFix — complies with what’s known as the “Delta Plan,” a set of policy goals, mandated by state law, that put protection and restoration of the fragile estuary’s eco-system on an equal footing with more reliable water supplies. This month’s elections may have mortally wounded California’s chances for a long-delayed $23 billion water tunnel project. … The project’s biggest cheerleader, Gov. Jerry Brown (D), is leaving office because of term limits and his successor, Lt. Gov. Gavin Newsom (D), lacks’ Brown’s enthusiasm for the tunnels. Gavin Newsom and John Cox both drive zero-emission Teslas. That’s about where the common ground ends between California’s candidates for governor when it comes to the environment. 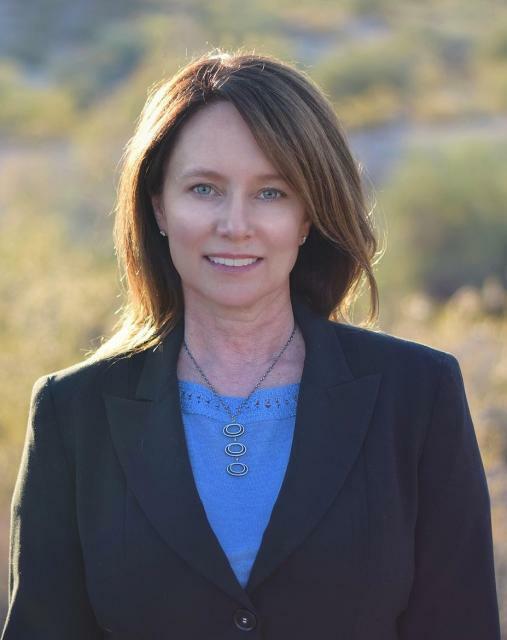 … Cox opposes as a “boondoggle” [Gov. Jerry] Brown’s $17 billion proposal to move water from Northern California to Southern California through twin tunnels in the Sacramento-San Joaquin River Delta. … Newsom backs a one-tunnel option as more cost-effective. California’s proposal to construct two massive tunnels underneath the Delta northwest of the city to divert Sacramento River water south would “devastate” Stockton and other communities in and around the Delta, especially what a new report refers to as “environmental justice communities” that often have been ignored in the discussion around the tunnels. Our annual Water Summit, being held Sept. 20, will feature critical conversations about water in California and the West revolving around the theme: Facing Reality from the Headwaters to the Delta. As debate continues to swirl around longer-term remedies for California’s water challenges, the theme reflects the need for straightforward dialogue about more immediate, on-the-ground solutions. 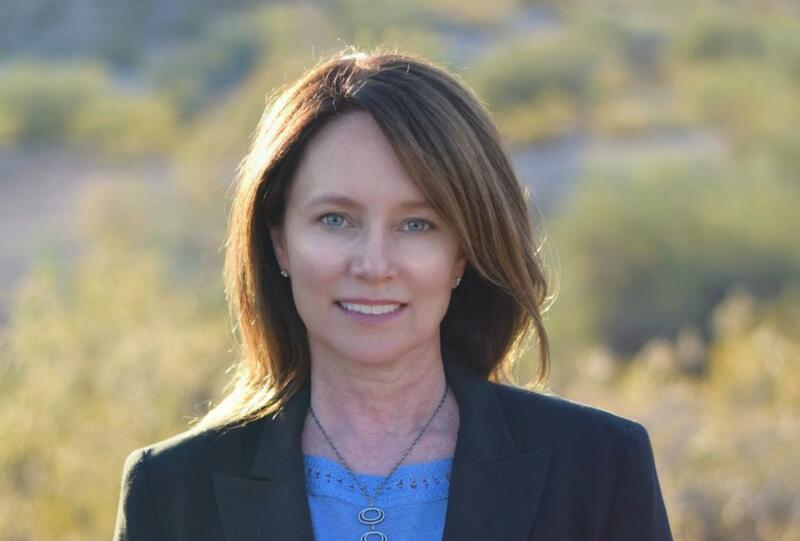 Brenda Burman, commissioner of the U.S. Bureau of Reclamation, will give the keynote lunch address at our 35th annual conference, the Water Summit, to be held Sept. 20 in Sacramento. The daylong event will feature critical conversations about water in California and the West revolving around the theme: Facing Reality from the Headwaters to the Delta. Deep, throaty cadenced calls — sounding like an off-key bassoon — echo over the grasslands, farmers’ fields and wetlands starting in late September of each year. 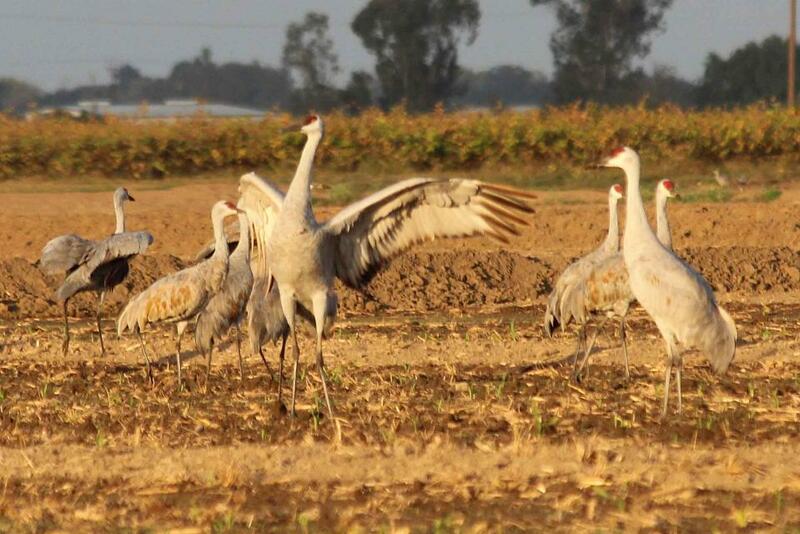 They mark the annual return of sandhill cranes to the Cosumnes River Preserve, 46,000 acres located 20 miles south of Sacramento on the edge of the Sacramento-San Joaquin Delta. Gov. Jerry Brown warned local water agency officials throughout California on Thursday that unless the delta tunnels project gets needed state and federal permits soon and continues advancing, the major infrastructure project may not happen in their lifetime. After a five-hour packed public hearing, the board of Silicon Valley’s largest water provider late Wednesday night put off a closely watched vote until next week on whether to provide up to $650 million to support Gov. Jerry Brown’s $17 billion plan to build two giant tunnels under the Sacramento-San Joaquin River Delta to make it easier to move water south. A decision by California’s largest water supplier on April 10 ended months of uncertainty over its role in the funding of California Water Fix, the state’s plan to build new water conveyance infrastructure in the Sacramento-San Joaquin Delta. … Financing is not the only issue that needs to be addressed. There is still a long list of regulatory and legal hurdles the project needs to clear. 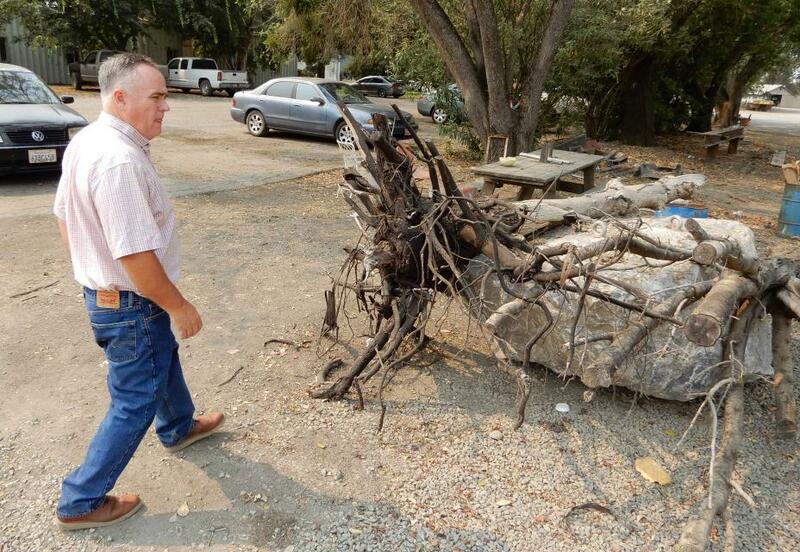 The “triple threat” of invasive rodent species has made its way to the edge of the delta, officials said, putting the state’s fragile water infrastructure at risk. The California Department of Fish and Wildlife said Tuesday that it had discovered the nutria, a large rat-like mammal that inhabits wet, rural areas, on agricultural land west of Stockton. The destructive invasive swamp rodents known as nutria are officially on the doorstep of one of the state’s most critically important waterways. State wildlife officials announced Tuesday that a nutria was killed on agricultural land west of Stockton in San Joaquin County. The largest water district in California agreed Tuesday to fork over nearly $11 billion to build two tunnels that will siphon water south from the Sacramento-San Joaquin River Delta, a major boost for Gov. Jerry Brown’s pet project. A throng of people, nearly 200 strong, came to this delta town Thursday, many of them wearing work boots and ball caps, blue jeans and plaid, and all of them hoping to learn something good about Gov. Jerry Brown’s plan to solve California’s water delivery problems. The folks from the river towns and rural communities along the Sacramento-San Joaquin River Delta didn’t like what they heard about the plan that is being called California WaterFix. A flurry of lawsuits over Gov. Jerry Brown’s Delta tunnels continued on Monday, with several Delta counties, farm groups and environmentalists joining the fray as expected. ‘These fish are in a bad way.’ How many more will die because of the Delta tunnels? The heavy storms that washed away California’s drought this season have come with a side effect: large slugs of pollution and sewage washing into San Francisco Bay and the Delta. Water, Weather and Warning! Is your community prepared for extreme weather events? 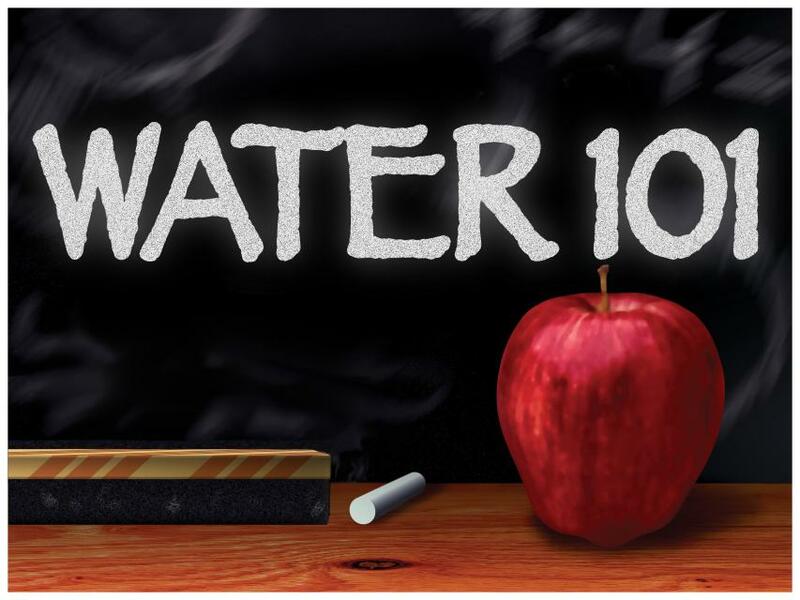 Water Education for Latino Leaders is convening a statewide educational water conference in Sacramento for California local elected officials. Local elected officials can make a difference for all Californians by taking the necessary steps to understand the dynamic of California water to assure adequate clean water for our communities, protect our natural resources and our local economies. WELL’s hope is to facilitate understanding towards comprehensive long-term water policies that will sustain California’s economy and quality of life. 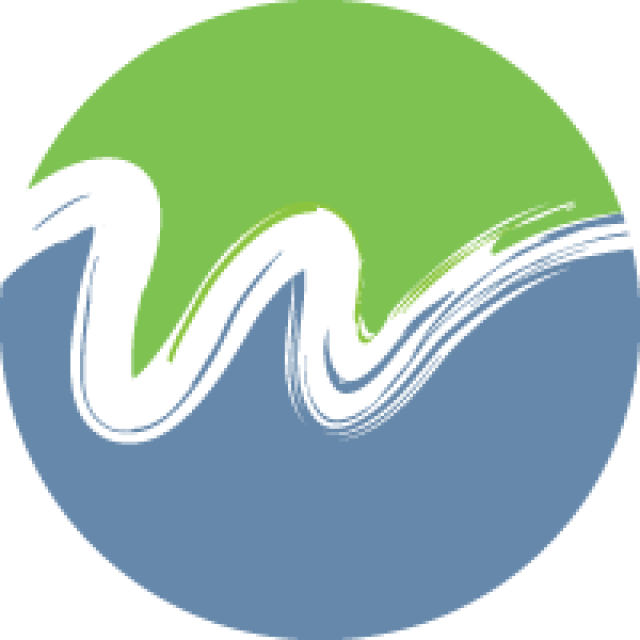 The Water Education Foundation is an organizing partner. After three days of king tides and massive rainfall, levees in the Delta have begun to fail, flooding islands, duck clubs and other land north of Pittsburg, an island owner and emergency official said Thursday. Federal officials on Friday approved short-term pumping limits from the Delta that are higher than a team of experts had recommended days earlier to protect imperiled fish. In theory, the decision by the U.S. Fish and Wildlife Service could lead to the first use of a controversial new law that allows higher levels of pumping under certain circumstances. The Delta smelt has survived 2016, but that’s about where the good news ends. Surveys that wrapped up this month revealed no real increase in smelt numbers despite a wetter year with more freshwater flow in the Delta. San Joaquin County residents and public officials alike voiced opposition this week against a state plan to increase flows from the Stanislaus River as well as increase allowable salt in the southern San Joaquin Delta, stating the proposals could have significant negative impacts on the region’s agricultural viability. The report’s findings were unequivocal: Given the current pace of water diversions, the San Francisco Bay and the Delta network of rivers and marshes are ecological goners, with many of its native fish species now experiencing a “sixth extinction,” environmental science’s most-dire definition of ecosystem collapse. Understanding the importance of the Bay-Delta ecosystem and working to restore it means grasping the scope of what it once was. That’s the takeaway message of a report released Nov. 14 by the San Francisco Estuary Institute. The report, “A Delta Renewed,” is the latest in a series sponsored by the California Department of Fish and Wildlife (DFW). Researchers from the Center for Watershed Sciences at UC Davis propose a “grand strategy” to create interconnected habitat to help native fish and wildlife in the Sacramento-San Joaquin Delta. Dr. Jay Lund, director of the UC Davis Center for Watershed Sciences, is the godfather of research on the Sacramento-San Joaquin Delta. When he says it took John Sutter eight days to wind his way from San Francisco Bay through the Delta to find the narrow Sacramento River in 1839, you can bet that’s the truth. … Now, water agencies have joined together again to launch the River Arc Project. After several years of unrelenting hyacinth invasions each fall, it’s as if someone has finally peeled back that green shag carpet and returned Stockton’s rivers to its people. … And there is a general sense that a coordinated effort by state and federal officials — along with a bit of help from Mother Nature — is starting to make a difference. Evidence of what scientists are calling the planet’s Sixth Mass Extinction is appearing in San Francisco Bay and its estuary, the largest on the Pacific Coast of North and South America, according to a major new study. Tests have confirmed the presence of toxic cyanobacteria — also known as “blue-green algae” — in south Delta waterways, state officials said Thursday. The “extensive” bloom is present in Old River and Grantline Canal, along Fabian Tract not far from Tracy and Mountain House, the State Water Resources Control Board announced. Cooler temperatures seem to have finally subdued Stockton’s stinky algae monster for 2016, but an expert warned the Delta Protection Commission this week that, in general, toxic blooms are getting worse. California Governor Jerry Brown’s plan to build two tunnels to carry water across the state is only economically feasible if the federal government pays for nearly a third of it, according to a previously unreleased economic analysis. San Francisco faces potentially drastic cutbacks in its water supply, as state regulators proposed leaving more water in three Northern California rivers Thursday to protect wildlife in the Sacramento-San Joaquin River Delta estuary, the linchpin of California’s water supply. The federal government and farmers on the west side of the San Joaquin Valley may be close to signing off on another controversial deal to clean up toxic runoff which, if left unabated, could threaten the downstream Delta. 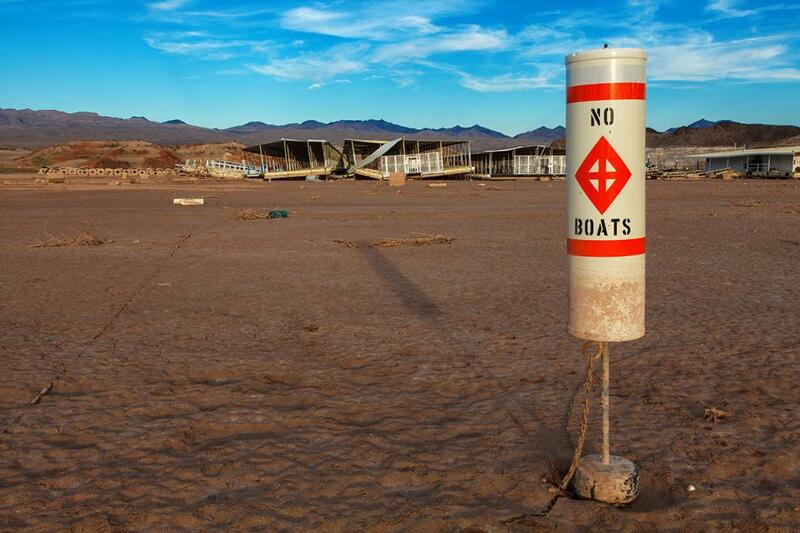 Five years of drought have severely taxed California’s rivers, reservoirs and groundwater. The Sacramento-San Joaquin Delta – the hub of California’s water supply, an agricultural center and a crucial ecological resource – hasn’t been immune from the impacts of the prolonged drought. At this free one-day briefing in Stockton on Oct. 25, keynote speaker Jay Lund, Director of the UC Center for Watershed Sciences, and other experts will discuss the drought’s effects on the Delta. Other confirmed speakers include Delta Watermaster Michael Patrick George, Michelle Banonis, Manager of the Bureau of Reclamation’s Bay-Delta Office, Michael Dettinger, senior scientist and research hydrologist at USGS, and Peter Moyle, one of the foremost experts on California’s freshwater fish. Offering a ray of hope in the struggle to save a tiny fish enmeshed in California’s water disputes, state officials say they have found a way to move around river water to produce more food for hungry or starving Delta smelt. The state Fish and Game Commission on Thursday will no longer consider a controversial proposal to allow anglers to catch and keep more nonnative Delta bass. The latest controversial proposal to weaken protections for the striped bass, a popular Delta sport fish, is scheduled to be heard on Thursday by the California Fish and Game Commission. Michael George has called the Sacramento-San Joaquin Delta “highly important, highly complex, highly compromised.” George serves as Delta watermaster, a position created as part of the Delta Reform Act of 2009 to administer water rights in the Delta, where there are some 2,800 separate water diversions. California officials Tuesday released a detailed environmental blueprint for Gov. Jerry Brown’s controversial Delta tunnels project, saying the $15.5 billion plan “minimizes potential effects” on endangered fish species whose populations have dwindled following decades of water pumping. A group of commercial fishermen won a potentially significant court ruling in the seemingly endless battle over California’s water supply and the volumes of water pumped south through the Sacramento-San Joaquin Delta. Either there’s been a spill at the local pea soup plant, or Stockton is suffering another nasty algae outbreak at the downtown waterfront. … The algae problem also has come up this week in Sacramento as state water officials begin extensive hearings that may determine the fate of the proposed Delta tunnels. The first day of a months-long hearing that could determine the fate of the controversial twin tunnels provided no answers on Tuesday — nor was it expected to. Representatives of California Gov. Jerry Brown and the Obama administration began making their pitch for approval Tuesday to build a pair of massive water tunnels under the Sacramento-San Joaquin River Delta. By the time the Sacramento River winds its more-than-400-mile course from the slopes of Mount Shasta past the state capital, it’s well into its leisurely stride, running slowly by fields of sweet corn, tomatoes and alfalfa. But this lazy stretch of river, just south of Sacramento, is a metaphorical whitewater. This week, Governor Jerry Brown’s controversial water project is back in the public eye. State officials are launching a marathon series of hearings for the “twin tunnels,” as they’re known, that will ultimately decide the fate of the project. When testimony begins Tuesday in a months-long hearing that could decide the fate of the $15 billion Delta water tunnels, amid all the acronyms and complexities and water-wonk jargon there will be a simple, consistent theme: Trust. Or lack thereof. A Southern California agency that provides drinking water for 19 million people officially became a substantial Delta landowner for the first time Monday after escrow closed on its $175 million purchase of several large islands. The state Supreme Court has cleared the way for Southern California’s powerful Metropolitan Water District to buy five islands at the epicenter of the delta’s water system, officials said Friday. Working from a bland, windowless office on the 13th floor of the Resources Building, one of California’s newest state employees focuses on the one issue from which all else flows, water. 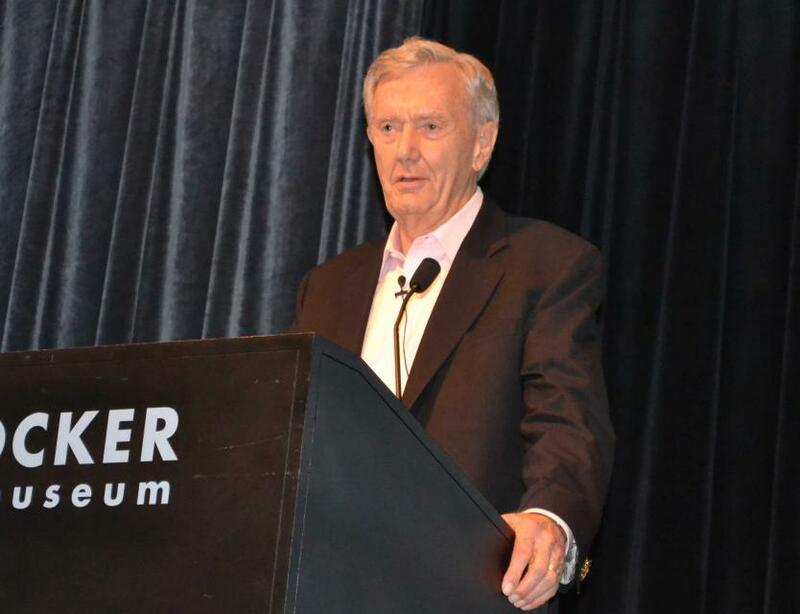 Bruce Babbitt has signed on to help Jerry Brown fix what the governor calls the California WaterFix. In a failed effort to protect endangered fish, the federal government decided without proper study to default to restricting the giant pumps at the bottom of the Sacramento-San Joaquin Delta. So argues a lawsuit filed Friday in U.S. District Court in Sacramento by a powerful consortium of water agencies. A long-sought plan to restore the Delta’s ailing environment and bolster the reliability of its water supplies was declared invalid by a judge Friday, possibly throwing another wrench in the governor’s plan for water tunnels through the region. A judge clarified late Thursday that a sweeping 21st century plan for the Delta is “invalid,” a decision applauded by Delta advocates who had argued the plan didn’t go far enough to protect the fragile estuary from massive water exports. In a decision that could delay or complicate Gov. Jerry Brown’s plan to build two huge tunnels in the Sacramento-San Joaquin Delta, a Superior Court judge ruled Friday that a comprehensive management plan for the estuary is no longer valid. … State officials say they plan to appeal. State water regulators on Tuesday formally dismissed complaints against two Delta water districts accused of diverting water illegally during the worst of the drought last summer. An appeals court has temporarily blocked a Southern California water district from purchasing more than 20,000 acres of land in the Delta. A state appellate court has temporarily blocked the Metropolitan Water District of Southern California’s $175 million purchase of five islands in the heart of the Sacramento-San Joaquin Delta. A state appeals court has temporarily blocked Southern California’s biggest water supplier from buying Delta farm islands that could be used for the governor’s plan for twin water tunnels. Another legal challenge has been filed seeking to block the Metropolitan Water District of Southern California’s $175 million purchase of five islands in the heart of the Sacramento-San Joaquin Delta. In California’s 3rd Senate District, two colors stand out: blue and green. Blue for water, green for money. … The Brown administration’s plan to build tunnels in the delta to carry northern water south is the single most controversial issue in the district. Saying they wanted to go beyond what they’ve done in the past, state officials resumed water hyacinth removal efforts at the downtown Stockton waterfront earlier than normal on Wednesday with the blessing of federal biologists. In a significant reversal on Thursday, state water officials moved to drop their case against two Delta water districts accused of illegally diverting water during the drought last summer. A plan that was supposed to serve as a comprehensive roadmap for the Delta through the year 2100 now must be partially rewritten, after a judge this week ruled on complaints stemming from no fewer than seven lawsuits. A San Joaquin County Superior Court judge on Thursday cleared the way for a Southern California water district to complete its purchase of 20,000 acres of land in the Delta, ruling that it was too soon to say how the property would be used. 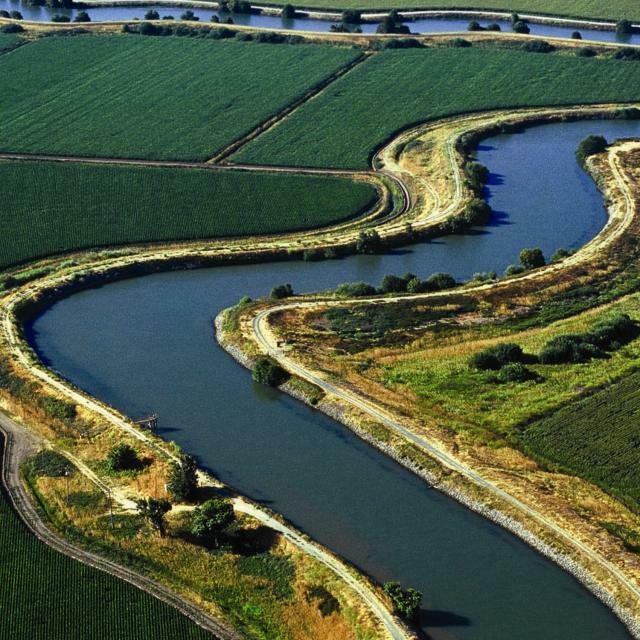 Southern California’s largest water supplier can move ahead with plans to buy sprawling farmland that could be used to help build twin tunnels far to the north through the Sacramento-San Joaquin River Delta, a judge ruled Thursday. Where to put the hyacinth? When it became clear that an early-season water hyacinth invasion could threaten Saturday’s “Ducky Derby” charity event at the downtown Stockton waterfront, state officials called in the cavalry. Picking up on Sen. Ted Cruz’s criticism of environmental protections for fish in the Sacramento-San Joaquin Delta, Carly Fiorina, Cruz’s newly-announced running mate, moved Saturday to reinforce his presidential campaign’s appeal to conservatives and farm interests in the Central Valley. A judge has refused to block a Southern California water agency’s controversial purchase of five islands in the Sacramento-San Joaquin Delta. In a setback for Delta advocates, a San Joaquin County Superior Court judge on Friday declined to grant a restraining order that would have temporarily blocked a Southern California water agency from purchasing more than 20,000 acres of land in the heart of the estuary. Wild fish, including the endangered Delta smelt and Sacramento winter-run salmon, have been hurt by a series of 20 state water board decisions over three years to relax Delta water flow and quality standards, according to the lawsuit by the National Resources Defense Council, the Bay Institute and Defenders of Wildlife. Two members of the state board that will play a crucial role in the fate of Gov. Jerry Brown’s plan to build two giant tunnels through the heart of the Sacramento-San Joaquin Delta rebuffed demands from a south state water agency that they disqualify themselves from upcoming hearings on the issue. Environmental groups sued federal regulators on Friday for allowing river flows in the fragile Delta to decline below levels that would normally be required even in the driest of years. Just days after a powerful Southern California water agency announced it was spending $175 million to buy five islands in the heart of the Sacramento-San Joaquin Delta, a coalition of opponents has sued to demand environmental review of the purchase. 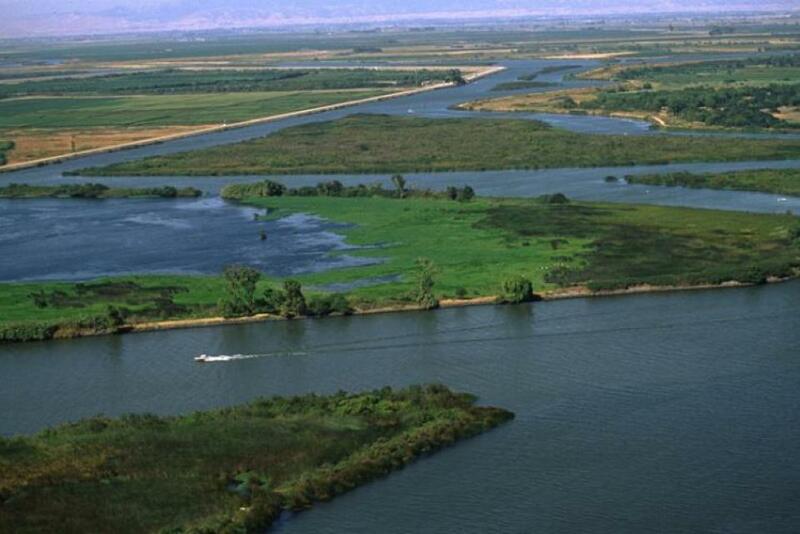 Two counties, two water agencies, and environmental groups in the Sacramento-San Joaquin Delta are suing California’s largest water wholesaler over its efforts to buy five islands in the Delta. Declaring that the Delta “will not be the next Owens Valley,” San Joaquin and Contra Costa counties — along with farmers and environmental groups — sued Thursday to block a Southern California water district from buying more than 20,000 acres of farmland in the heart of the estuary. Tens of millions of dollars from California’s greenhouse gas reduction program are being used to restore wetlands. 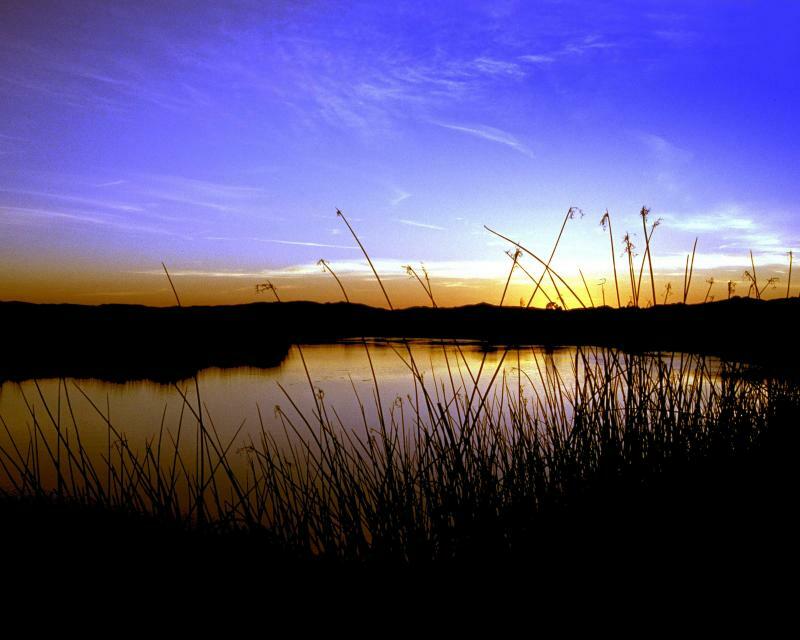 Scientists have long known that wetlands can store, or sequester, carbon dioxide. The Metropolitan Water District of Southern California is spending $175 million to buy five islands in the Sacramento-San Joaquin Delta. Already viewed with suspicion and hostility in the north state water community, the powerful Metropolitan Water District of Southern California is broadening its reach by purchasing $175 million worth of real estate in the very hub of California’s water delivery network: the Sacramento-San Joaquin Delta. A major change took place in California water operations this week, but you probably didn’t hear about it. Federal wildlife officials ordered cutbacks in water diversions from the Sacramento-San Joaquin Delta to protect salmon and steelhead. On a tiny spit of land just north of Pittsburg, John Sweeney is fighting government bureaucrats to realize a dream. He says he’s saving wetlands; they say he’s destroying them. Only a close look at the Middle River revealed anything amiss in this part of the Sacramento-San Joaquin Delta. Instead of flowing north toward San Francisco Bay, as nature intended, the Middle was headed south. In response to dozens of pending protests, state and federal officials asked for a two-month delay in hearings that could decide the fate of Gov. Jerry Brown’s controversial plan to build two massive tunnels beneath the Sacramento-San Joaquin Delta. As lingering El Niño rains swell the state’s rivers, Democratic Sen. Dianne Feinstein joined California House Republicans on Thursday to demand that President Obama order more water to be pumped from the Sacramento-San Joaquin River Delta to farms in the San Joaquin Valley. California Sen. Dianne Feinstein wants President Obama to order an increase in water exports from the Sacramento-San Joaquin Delta to farms and cities to the south. … A dozen Republican members of California’s House delegation sent a separate letter calling on Obama to act. On the surface, hearings in Sacramento starting this week will determine whether a Delta water district with century-old water rights pumped illegally for 12 days last summer — and whether the district should be penalized $1.4 million as a result. Promoted by Gov. Jerry Brown, the $15.7 billion project would run giant twin pipes, each four stories high, underground for 35 miles and eventually pull thousands of gallons of water a second from the stretch along the Sacramento River where [Russell] van Loben Sels farms to cities and farms to the south. Spraying for water hyacinth in the Delta will start on Thursday with the use of more more boats, manpower and other resources. Southern California’s giant water provider agreed Tuesday to purchase about 20,000 acres of land in the Delta, a move one Stockton-based advocacy group quickly called an “existential threat” to the future of the estuary. The board of Southern California’s water importer voted Tuesday to buy 20,000 acres of farm islands in the heart of the state’s north-south plumbing system. With annual spraying of the invasive Delta weed expected to begin on Thursday, state officials say they’re hoping for a reduced crop this year. Populations of the threatened Delta smelt have plummeted to the lowest in history. The three-inch fish is often the focus of California’s water wars. As part of the latest push to restore the ailing Delta, a 646-acre wheat and corn farm here is expected one day to metamorphose into a recreational and habitat oasis complete with kayak launches, hiking trails and a home for endangered species. Only in the wettest times is there enough water from the Delta to satisfy most everyone — farmers, fish, southland cities. In a drought, there is never enough. 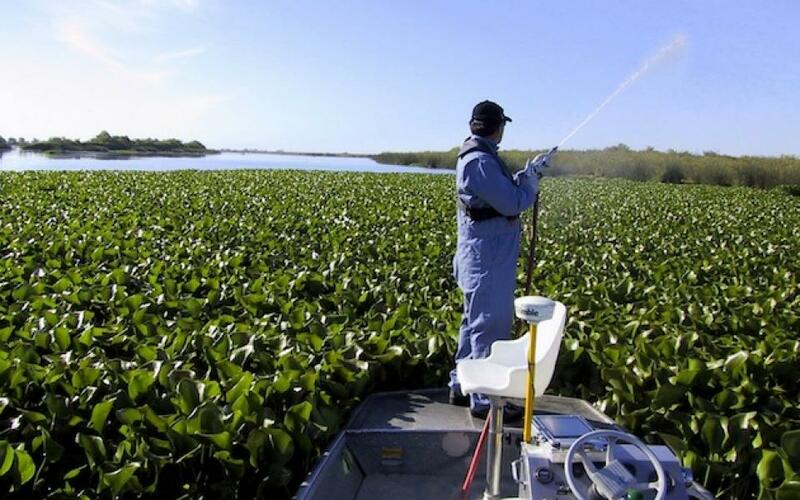 Water hyacinth, the invasive water weed that carpets San Joaquin Delta channels in the warm season, choking out native species, degrading water quality, blocking recreational boaters and interfering with commercial ship traffic, holds promise as a biofuel. San Francisco Bay, the Sacramento-San Joaquin Delta and the watershed that feeds them make up one of the world’s largest estuary systems, a wildly varied tableau of beaches, river, creeks, grasslands and tidal marshes. In a largely symbolic show of opposition to Gov. Jerry Brown’s Delta water project, a Stockton lawmaker said Friday she is introducing legislation to require public approval of such plans. Saying current water conditions pose particular peril for the state’s tiny, disappearing Delta smelt, federal officials moved to temporarily reduce water deliveries for farmers and millions of other Californians. A small state agency will soon begin the daunting process of deciding whether to change the water rights for the state and federal water projects, allowing them to divert some of their water from the Sacramento River and bypass the Delta for the first time. A controversial plan that would put Southern California’s most powerful water agency in control of a group of Sacramento-San Joaquin Delta islands has run into a potentially significant hurdle. Gov. Jerry Brown said he is preparing to wade into next year’s crowded field of ballot battles, which could include proposing a new effort on climate change or fighting off an initiative to restrict infrastructure projects. Gov. Jerry Brown said Thursday he is considering placing a measure on the 2016 ballot, possibly related to climate change, or engaging in an effort to defeat a threat to his Delta water project. With rivers still flowing low, the freshwater Delta is once more turning salty. Officials are already considering installation of another emergency drought barrier in the Delta in April, to keep that saltwater at bay. The Delta is one of the most closely studied river estuaries in the world. But the scientists who are studying it are dispersed across the region, in different offices and in different towns. The board of the Southland’s water importer Tuesday voted to pursue the purchase of four farm islands in the Sacramento-San Joaquin River Delta, the ecologically troubled center of California’s sprawling water system. The board of the Metropolitan Water District of Southern California voted Tuesday to authorize its general manager to negotiate options on the five islands, owned by a Swiss company called Delta Wetlands Properties. Southern California’s biggest drinking water supplier will seek an option to buy 20,000 acres of river delta farm land east of San Francisco, a deal that could benefit a controversial tunnel project to carry Northern California water southward, the agency said on Tuesday. The word nutrients sounds like a good thing—they make our food healthy, for example. But in our rivers, lakes, and bays, nutrients can pose water quality challenges. … In the Delta, nutrient pollution has contributed to the spread of invasive aquatic plants such as water hyacinth and recurrent blooms of the toxic blue-green alga Microcystis. Monday’s Top of the Scroll: Jerry Brown’s tunnels meet flurry of criticism, but will it matter? Gov. Jerry Brown has been getting quite cranky lately when anyone belittles a pet project, especially his proposed water tunnels. With the future of the Sacramento-San Joaquin Delta approaching a critical stage, a group of Southern California water agencies is working to buy four Delta islands, a move that has drawn accusations that the parcels could be used to orchestrate a south-state water grab. The Delta’s floating green menace has now forced the city of Stockton to close its largest boat launch, another sign that this year’s water hyacinth invasion is just as nasty — if not more so — than last year’s. Monday’s announcement was a blow for those hoping that an extra $4 million dedicated to hyacinth control efforts and a more aggressive schedule for applying herbicides would lead to noticeable improvement in 2015. The [Delta Protection Commission] project included the commissioning of four scholarly essays about the Delta, containing hundreds of pages of details that in some cases are little-known even to those living there. The Sacramento–San Joaquin Delta is one of the West’s most important estuaries, and a critically important water source for millions of Californians. … We interviewed Phil Isenberg, vice chair of the Delta Stewardship Council and a member of PPIC’s board of directors, about the state of the Delta. A Delta river that’s been blocked for the past four months to limit the intrusion of saltwater into one of the state’s major sources of drinking water reopened again Thursday morning. State officials applied this week for the latest in a series of permits they need to build the twin tunnels beneath the Delta, another indication of their intent to move forward with the $15 billion plan. Operators of California’s giant state and federal water projects are formally asking for permission to take at least some of their water before it reaches the Delta, setting up another bureaucratic hurdle that must be cleared if Gov. Jerry Brown’s twin tunnels are ever to be built. Federal and California agencies have filed some of the first permit applications for a proposed project involving the construction of twin 30-mile tunnels to help carry water from the northern to southern and central regions of the state, officials said Thursday. In what researchers suspect is another troubling side effect of the state’s epic drought, the Delta is exploding with algae particles that in intensified concentrations could pose a substantial threat to the central hub for California’s vast water delivery network. The algae bloom is not limited to the central Delta. Normally, rivers from interior California help push back that saltier water and keep the Delta fresh, which is important for people and fish alike. But this year the rivers are low, which allows the Bay water to move toward the east and invade portions of the tidally influenced estuary. After yet another revision, the governor’s plan to build twin tunnels through the Sacramento-San Joaquin Delta still makes no economic sense. A closer look at the three types of economic benefits claimed for the project to export water to Central Valley farms and Southern California cities shows why it can’t possibly justify its estimated $15 billion cost. The activists are challenging revised environmental impact documents released earlier this month as part of a controversial, $15.5 billion plan to build two massive tunnels in the north Delta to ship the water to pumping stations in the south. … Known formally as the Bay Delta Conservation Plan, Gov. Jerry Brown’s administration recently renamed the tunnels project the California WaterFix. Congress has approved an amendment to a proposed federal water bill that would add $1 million to the fight against water hyacinth in the Delta. The latest version of Gov. Jerry Brown’s plan to build two giant tunnels ferrying water across California locks in just 15,600 acres for habitat restoration, one-sixth of that committed under Brown’s original tunnels proposal, state officials confirmed Monday. Amid long-standing controversy surrounding Gov. Jerry Brown’s plan to build two tunnels to divert water around the Sacramento-San Joaquin Delta to the south, one advantage the project appeared to hold was that Brown could forge ahead without a public vote. Gov. Jerry Brown’s administration took a significant step toward building a pair of water tunnels through the Delta on Thursday, unveiling the fine print on a redesign that state officials say would reduce impacts on the landscape, improve conditions for endangered fish and enhance water supplies for millions of Southern Californians. Ever since its construction in 1951, the whole point of the Delta-Mendota Canal has been to ship Northern California water to farmers south of the Delta. Fighting over water is a tradition in California, but nowhere are the lines of dispute more sharply drawn than here in the Sacramento-San Joaquin Delta, a 720,000-acre network of islands and canals that is the hub of the state’s water system. California is at high risk of permanently losing key species and habitats in the West Coast’s largest estuary, the Sacramento-San Joaquin Delta and San Francisco Bay. … Whatever words we choose, the decline of the Bay-Delta is part of the global loss of biological diversity described in Elizabeth Kolbert’s Pulitzer Prize winning book “The Sixth Extinction” – a tragedy that’s happening not just in coral reefs and rainforests but right in our backyard. The State Water Contractors, which has 27 members that include the Metropolitan Water District of Southern California, filed a complaint with state officials, accusing some Delta farmers of illegally using water that the public agencies have stored in reservoirs. 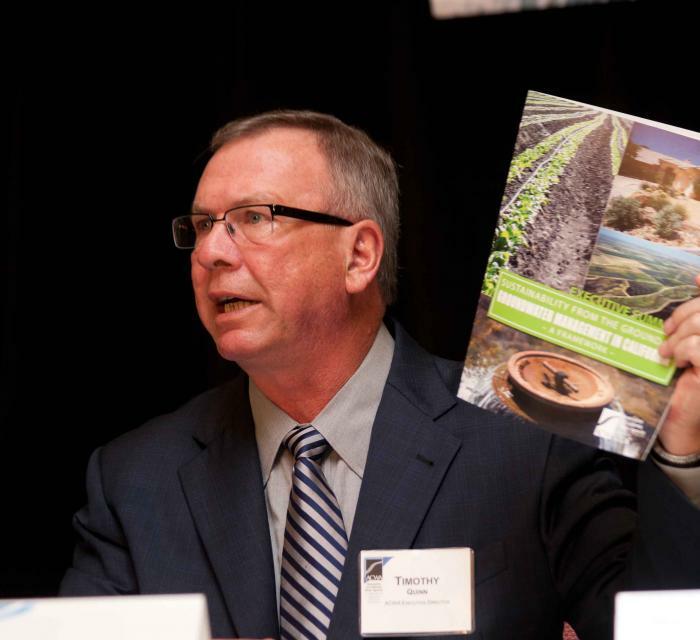 The tension between California farm interests and the state’s urban water users ratcheted up Tuesday, as a consortium of mostly urban water districts filed a complaint alleging Delta farmers are stealing water. Gov. Jerry Brown called on California to support a plan to transform the heart of one of the state’s most important water systems, saying failure to take action on the delta could risk disaster for not only Southern California but the San Francisco Bay Area as well. Ever since the state’s salinity barrier stopped water from flowing through a segment of False River on May 29 — a last-ditch drought effort to keep salty bay water from encroaching on the clean Delta drinking water — the currents have shifted dramatically, endangering boaters and threatening nearby levees, island officials and residents say. A federal lawsuit claims California and federal water managers are harming several fish species in the way water is allocated. Don’t be fooled. 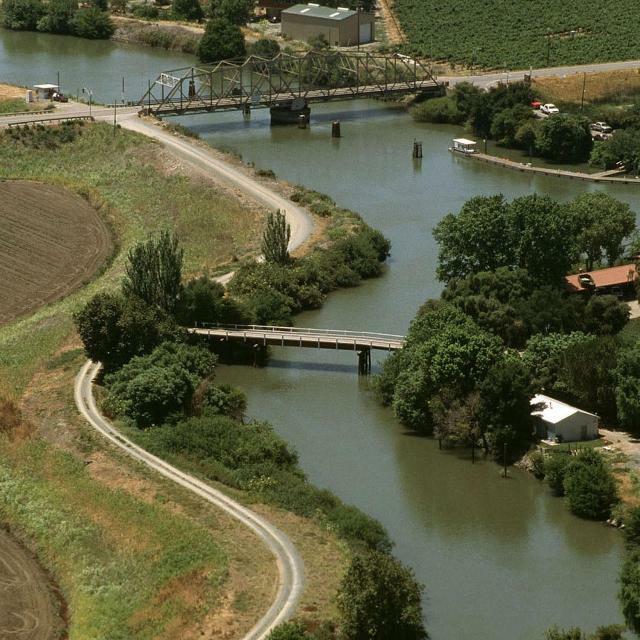 The dreaded twin tunnels through the heart of the Sacramento-San Joaquin Delta did not die. Calling it a “challenge we have to respond to,” Gov. Jerry Brown told hundreds of business owners and others Thursday that the state needs to push forward with his administration’s plans for two water diversion tunnels to protect its economy. Just how real is the earthquake threat to the Sacramento-San Joaquin River Delta? … KCRA 3’s investigative unit talked with experts on the issue and found very different viewpoints. In a normal year, fresh water flowing from rivers into the Delta pushes back tidal ocean water. In this fourth year of drought, not enough water is flowing down river. The way we move water from Northern California to the south is the worst of all worlds. … California needs a better conveyance system – one that is reliable, protects the environment, can be used to supply more water and anticipates climate change. Hated by many, loved by few, the tiny Delta smelt has long been the symbol for California’s water wars and the struggle between the state’s environmentalists and farmers.